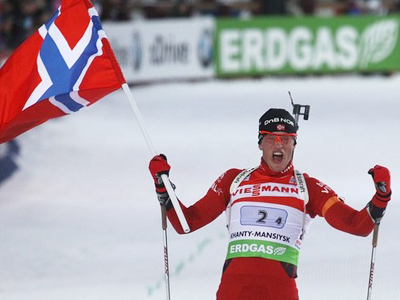 World Cup leader Tarjei Boe of Norway has won the men's race at the world biathlon championships to claim his first major title. 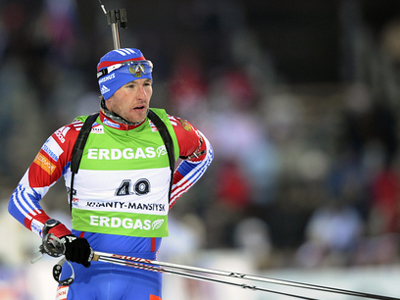 He was followed by Russia's Maksim Maksimov and Austria's Christoph Sumann. 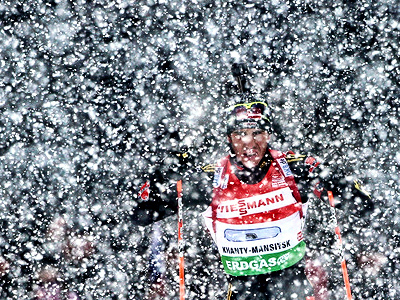 Boe missed one target during the 20-kilometer course for his fifth top-three finish this season. Maksimov shot cleanly but couldn't keep up with Boe's pace and finished 40 seconds behind. This was Russia's first medal in six races at the championships. Sumann led Boe by 48 seconds entering the final shooting range, but a miss added a minute to his time. In the end, he finished 45.5 seconds behind the winner. The women's 15-kilometer individual race is scheduled for Wednesday.